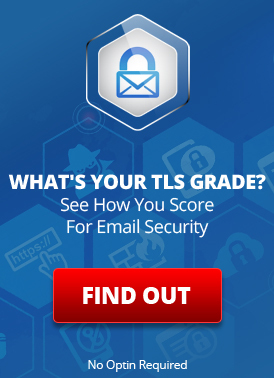 SecureLine is a new service provided by LuxSci that allows its users to easily send and receive secure email messages to and from anyone on the Internet who has an email address – no matter what kind of email software or service that correspondent has and no matter how insecure that correspondent’s current email services are! SecureLine enables you to easily meet HIPAA (The Health Insurance Portability and Accountability Act) and other communication security regulations and policies and it enables account administrators to optionally require that all users employ SecureLine and thus participate only in secure communications. In order to meet the combined goals of ease of use, maximum security, and communications with anyone, anywhere, SecureLine seamlessly integrates two distinct modes of secure email communications: SecureLine Escrow and SecureLine PKI. SecureLine Escrow: For secure communications with anyone, anywhere, you can use “SecureLine Escrow”. When composing an email for escrow, the SecureLine-enabled sender will provide an authorization question and answer; something that is confidential and known only to the sender, recipient, and other authorized people. When sent, the secure email message is encrypted and stored in a special “escrow” database at LuxSci. The recipient receives an email notification with the password to the secure message. The recipient then follows a provided link to the “Escrow Portal” to pick up the secure message and to optionally securely reply back to the sender. In order to access the Escrowed message, the recipient needs both the password from the notification email and the answer to the sender-provided authorization question. Thus, SecureLine Escrow allows simple secure communication with anyone who has an email address. SecureLine PKI: For secure communications with other users of SecureLine and with other people on the Internet who have compatible secure email services, LuxSci’s SecureLine also supports a Public Key Infrastructure (PKI) compatible with the S/MIME (Secure MIME) and PGP (Pretty Good Privacy) Public Key technologies. In a public key system, the encrypted message content is sent within the email message to the recipient, instead of being placed in escrow for later retrieval; the recipient can easily decrypt and read such secure messages from within his/her usual email program or WebMail. This mode of operation is more flexible and more like normal email usage than the “Escrow” system; however it requires that the recipient be another SecureLine user or someone who utilizes PGP or S/MIME email encryption technologies. To read more about SecureLine, what features it provides and how exactly it is extremely easy to use, see the SecureLine description. This entry was posted on Saturday, September 3rd, 2005 at 10:18 pm	and is filed under New Feature Announcements. Both comments and pings are currently closed.